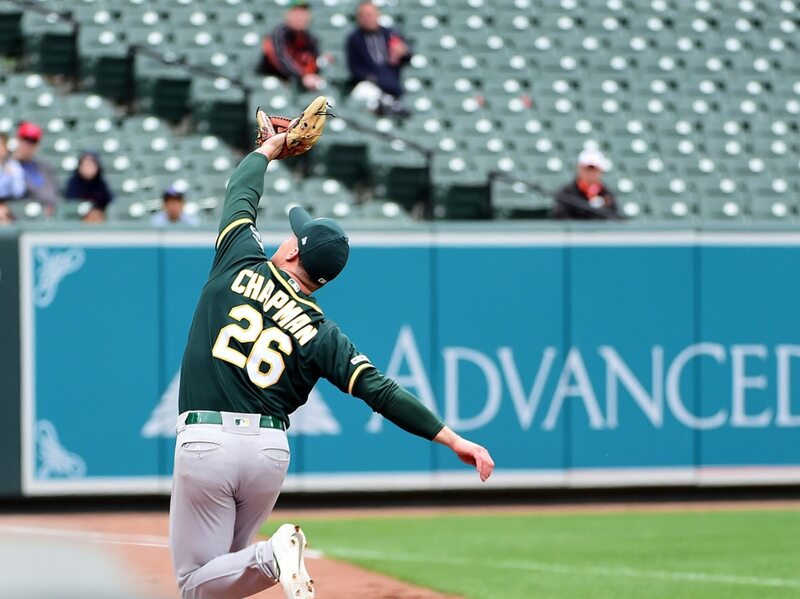 Matt Chapman is known as one of the best defensive third basemen in in the league. A play he made on Tuesday will only pad that reputation. Houston Astros cleanup man Michael Brantley appeared to foul a ball out of play. But the Oakland Athletics third baseman sprinted over and made a fantastic diving catch in foul territory. The shift only makes this play better. While Chapman wasn’t in the shortstop position (which we sometimes see), he was well off of the line and clearly not expecting Brantley to go the other way. But Chapman has a great first step. And when he puts his mind towards tracking a ball down, he’s usually going to come up with it.